Abstracts of a maximum of 300 words should be submitted by 7 December 2017 to the conference conveners, Dr Stefan Aquilina (stefan.aquilina@um.edu.mt) and Prof Vicki Ann Cremona (vicki.cremona@um.edu.mt). Acceptance will be confirmed by the end of the year. Kindly include a brief bionote and any technical equipment you might need. 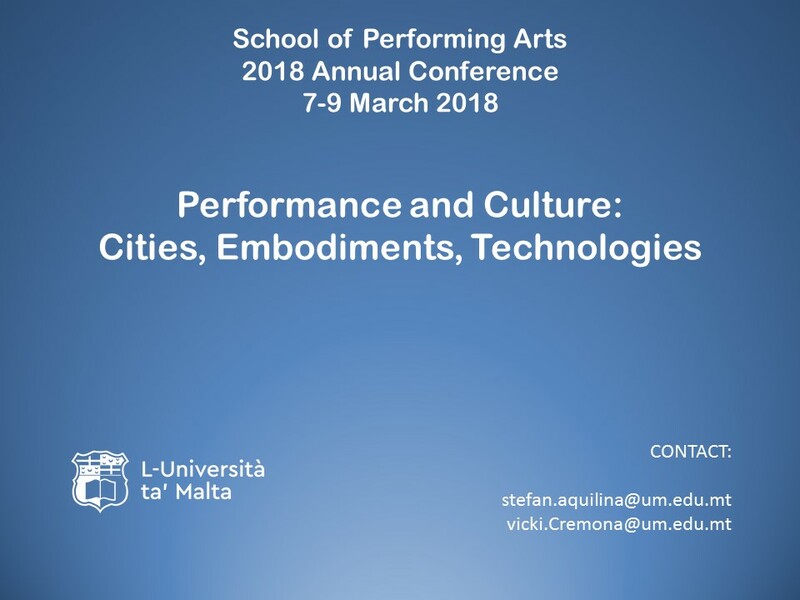 Primarily, the conference will take the form of conventional 15-20 minute presentations, but presenters wishing to suggest other forms of presentation are also encouraged to contact the conference conveners. This entry was posted in News by Stefan Aquilina. Bookmark the permalink.